Women on a Mission: Mom Edition: COUPON CODES: WHAT DO THEY MEAN? Remember the Feeling Lucky Giveaway? The winner was Jen and I recently put together Jen’s coupon shopping trip complete with a hand-made “GREEN” shopping bag. Jen's ready to go SHOPPING! Her bag consisted of the following shopping list complete with the coupons needed to see these great savings. 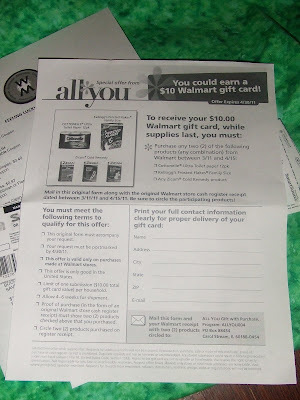 Not only that, but a mail-in rebate for a $10.00 Wal-Mart gift card was also part of the giveaway. And dinner on us at Burger King! purchases and mails in the form! 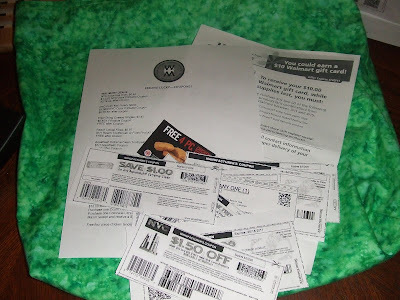 WOMS—we promise to offer future coupon giveaways, and we promise to get an update from Jen on her couponing adventures. Remember our favorite couponing and savings blogs: valleydealseekers.com, passionforsavings.com, and freebies2deals.com (and there are lots of others). They all use similar coupon lingo and when I first started out couponing I didn’t understand it. So I emailed our friends at Valleydealseekers.com, they filled me in, I used it, and now I am sharing my knowledge with you (our WOM-MOM FOLLOWERS). 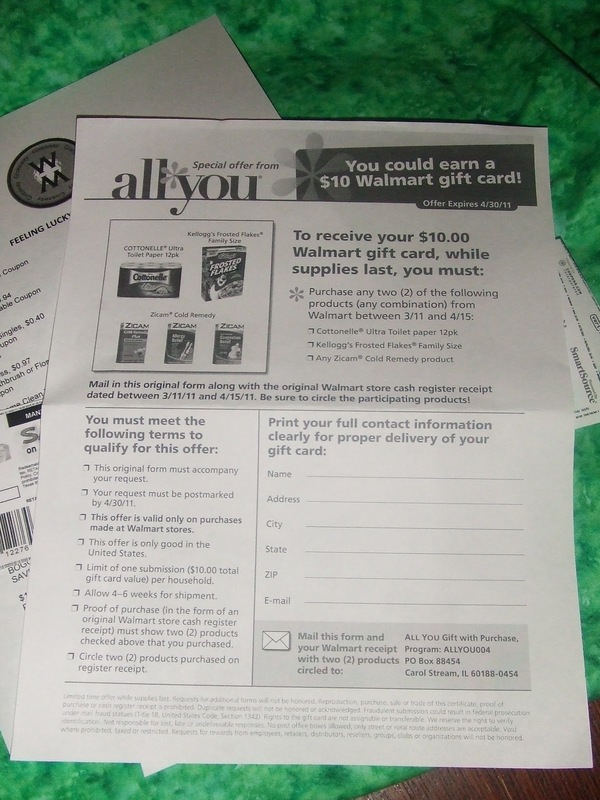 When cruisin’ their sites, you will see shopping lists complete with coupon match-ups (they do the research for you). In order to understand the coupon-matchup, you have to understand the coupon code. 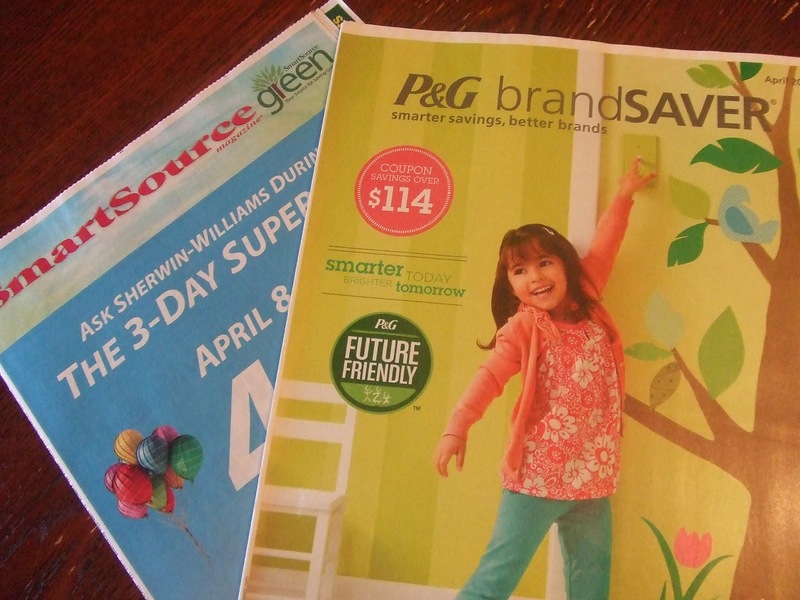 There are three major couponing inserts you will find in your Sunday paper. When the code is given with the date—this means that it was found in that particular newspaper insert along with the date of the newspaper. A screen shot of the Red Plum page. Coupons are below. P and G=Proctor and Gamble (these inserts are found in Sunday papers—in addition, you can sign-up to be a member of the Proctor and Gamble mailing list. They will email you with special promotions and to tell you when their major insert will be featured in an upcoming Sunday paper). Inserts from the Sunday paper. Unfortunately, a Red Plum insert wasn't included this Sunday. Now you know the couponing lingo, so start clipping! And get ready to save!